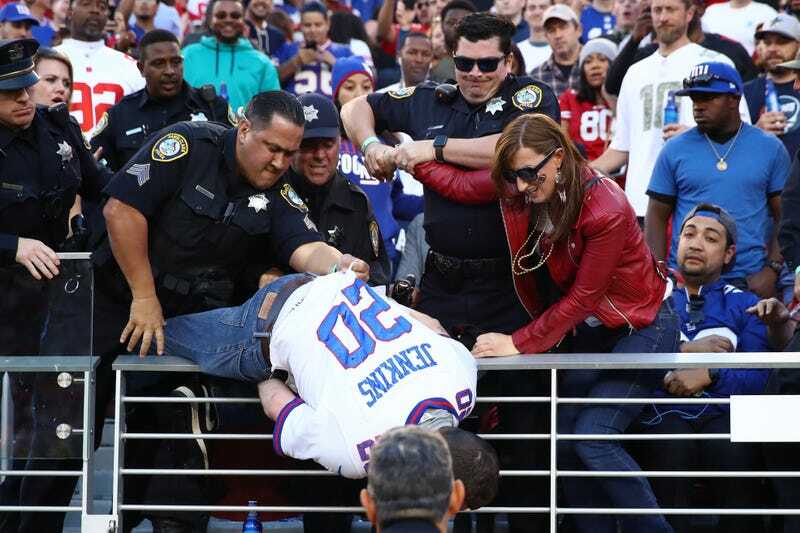 Sad to say, but this man had the most successful Sunday of anyone wearing a Giants jersey. The video shows the fan and an officer falling over the railing to the field, where the officer appears to get a few shots in. Both the man and his companion were detained and forcibly ejected.